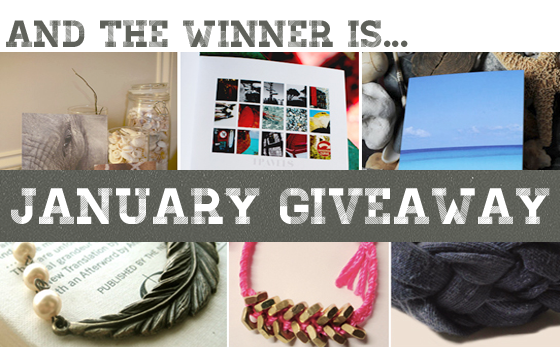 Bubby and Bean ::: Living Creatively: Guess Who WON the January Giveaway?! Guess Who WON the January Giveaway?! Special thanks our wonderful January sponsors for contributing to this amazing giveaway. If you didn't win this time, turn that frown upside down... We have another killer giveaway coming very soon!